It is often so hard for an island girl, like myself to truly enjoy winters. Truthfully, it has just started getting colder on Jeju Island, so I should be grateful. And, I am. Some places started freezing, since August, so I am grateful that, 1) winter arrived a bit later & 2) I swam in the ocean up until October. I am super thankful, that the weekend brought along some amazing sunshine. 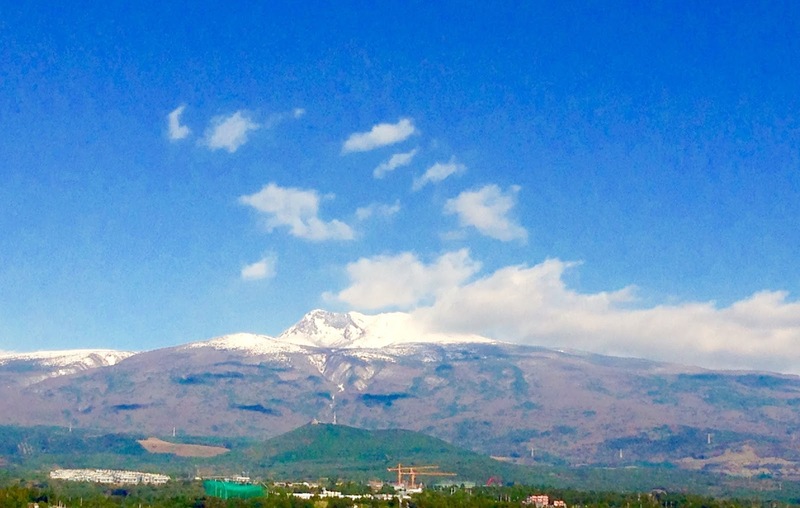 Also, Halla Mountain was snowcapped and it was so beautiful. 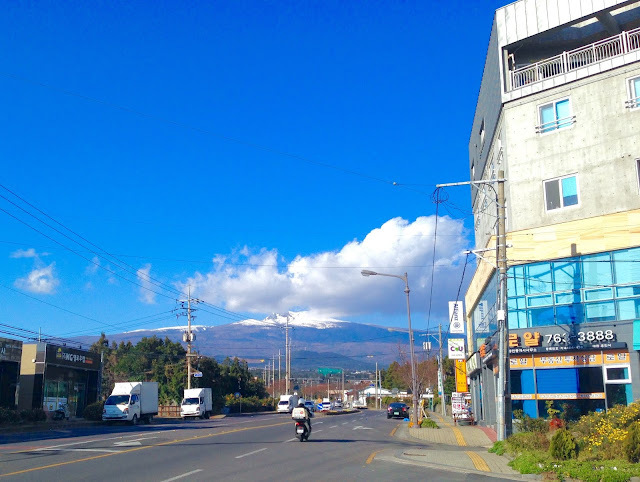 I am lucky because like most people on Jeju Island, I have an amazing view of the highest peak in South Korea. 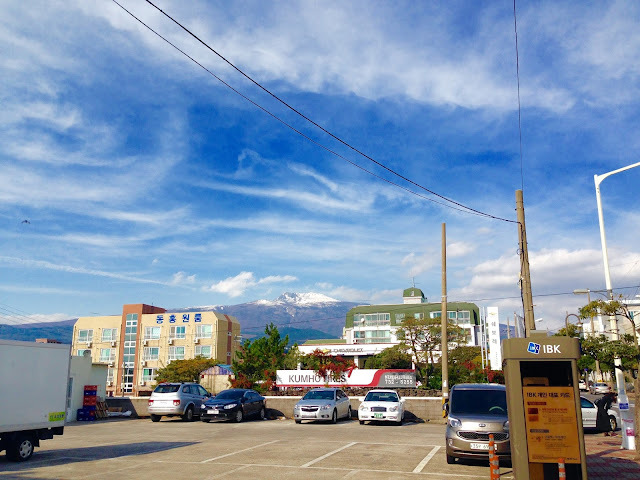 I was running around doing errands and each time I saw the mountain, I felt so happy. On some days it is harder to see, but on other days it is very clear. 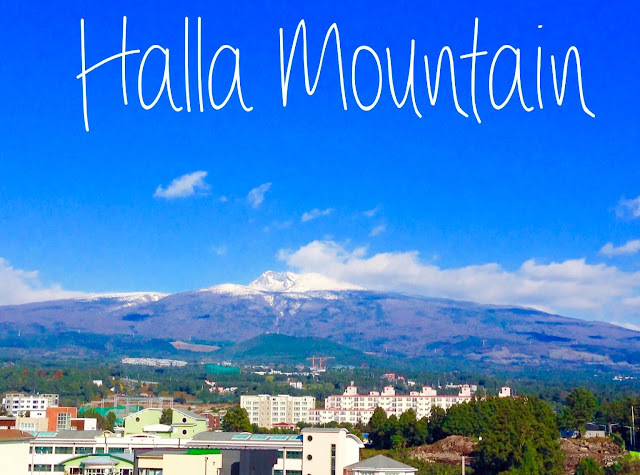 Hallasan has an elevation of 1,950 m or 6,400 ft. A quick Korean lesson- San actually means mountain and in Korean alphabet it is 한라산. I will use Hallasan and Halla Mountain interchangeably. This is one of those moments when I try to appreciate the little things, even though I may be having an off day. 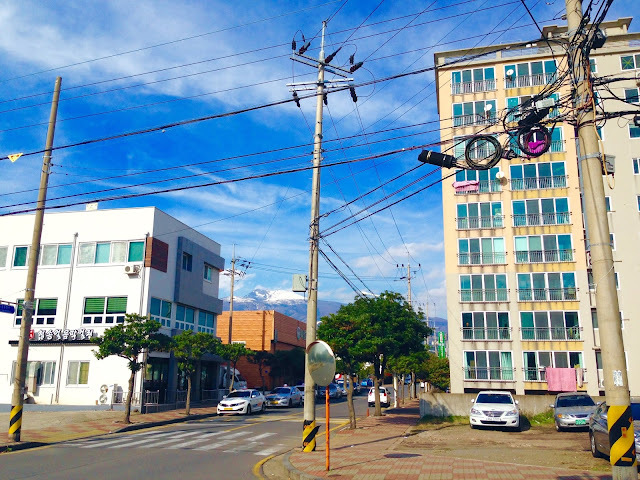 They say Gods live on Hallasan (한라산). Since, I always get good energy from looking at the mountain each day, I would have to agree. I hope you like the casual shots I took of the beautifully snowcapped Hallasan (한라산). Do you like hiking? Even if don't, hiking Hallasan should be one of the TOP things to do, if you visit Jeju Island. 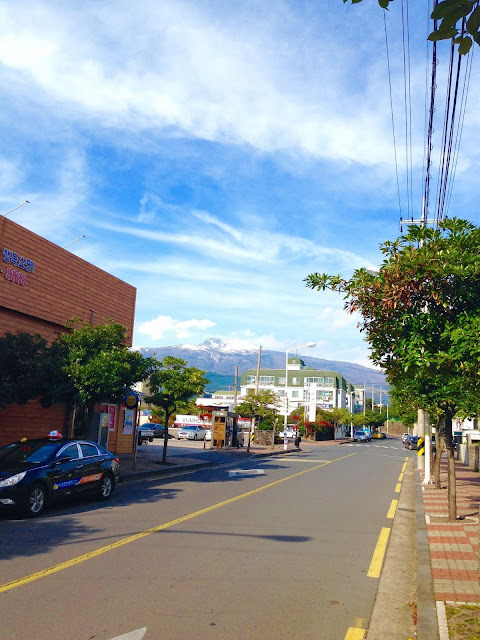 It is the highest peak in South Korea. Also, Hallasan is a shield volcano, which was built primarily by fluid magma. If you hike Hallasan, then you will see a crater lake at the very top. There are about five trails open trails on Hallasan these days and only one will get you to the top. The name of that trail is Seongpanak Trail. Seongpanak is 9.6km and should take roughly about 9 hours or less, up and down. I have friends that have done it in about 6 hours. Non human friends obviously, hehehehe!